In an effort to bring quality neuro care and treatment to disadvantaged populations in South Africa, UCLA’s Center for World Health, with the support of the South African Consulate, founded the Brenda Lucille Miller UCLA South African Education Fund. This provides funding for recently qualified South African neurologists or physicians seeking to specialize in Neurology to spend time at UCLA to engage in clinical studies. UCLA GHERP aims to close the gap in professional training in South Africa and help highly qualified practitioners address the needs of under-served communities in the country. This program is donation-based and training is provided at no cost to participants. Donations are crucial. The goal is to raise $20,000 by December 31st in order to maintain the program and fund professional development of young neurologists. Donations to the Brenda Lucille Miller UCLA South African Education Fund is an investment in the future of Neurology. Your gifts, when combined with other advocates, will bring early career physicians to Los Angeles for two months to engage in post-doctoral studies. Working closely with UCLA faculty, participants will receive specialized neuroscience training in surgical, hospital, and outpatient settings, with the goal of applying this knowledge and skill set to improve the diagnosis, treatment, and management of neurologic diseases in South Africa. LEAP is a transformational learning model that aims for excellence—particularly in mathematics, science, and English—and so uplifts disadvantaged young people's lives and the communities where they live. LEAP provides the highest-quality education to students from grades 9 to 12 with the potential to learn and a willingness to work hard toward success in education, future employment, and life. LEAP is a learning organization created by educator John Gilmour to give young South Africans the academic and life skills they need to become productive and responsible citizens. LEAP schools have high expectations of South Africa's youth and aim to transform deeply divided communities, one graduate at a time. What makes LEAP special is its focus on the emotional and social development of young people and their communities. Seventy-four percent of LEAP graduates are now studying and 7 percent are working. Thirty percent of those who are studying are at an academic university, 44 percent are at a technical university, 12 percent are at an FET college, and 11 percent are in the LEAP Future Leaders Program. Twenty-three percent study business and accounting, 19 percent go into engineering, and 17 percent choose education as their field of study. 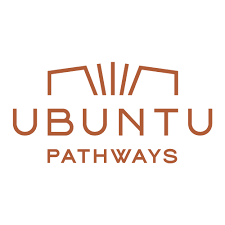 Ubuntu Pathways (formerly Ubuntu Education Fund) is a nonprofit organization that provides an integrated support system of health, education, and social support in the townships of Port Elizabeth, South Africa. Over the past 19 years, what began as a fortuitous meeting between two strangers has grown into an internationally-recognized blueprint for community transformation. Ubuntu has redefined mainstream development models by focusing on the depth rather than breadth of its impact on a community of 400,000. Ubuntu Pathways believes in trusting those closest to the problem to create the solution. In partnership with the Bertha Foundation, Ubuntu has created a world-class staff development initiative and today, 95 percent of its team are leaders from the community it serves. Working in more than a dozen countries, primarily in Africa,Lifeline Energy focuses on reducing energy poverty for the poorest, with anemphasis on women and girls. Partnering with local aid organizations, Lifeline Energy assesses the target population's energy and information needs,co-creates appropriate distribution strategies, and trains end users to maximize the benefits of Lifeline products. It fully engages the community,working with vulnerable groups to design renewable products they need in their day-to-day lives, which also can be used in microenterprises. Lifeline Energy remains a registered 501(c)(3) tax-exempt charity in the U.S., a registeredcharity in the U.K., and is a Section 18A and 21 non-profit in South Africa. Under its new name, Lifeline Energy retains all board members in the U.S., U.K., and South Africa, as well as its ambassadors—Tom Hanks in America, Mount Everest and South Pole trekker Sibusisu Vilane in Africa, and noted humanitarian Terry Waite in Europe.